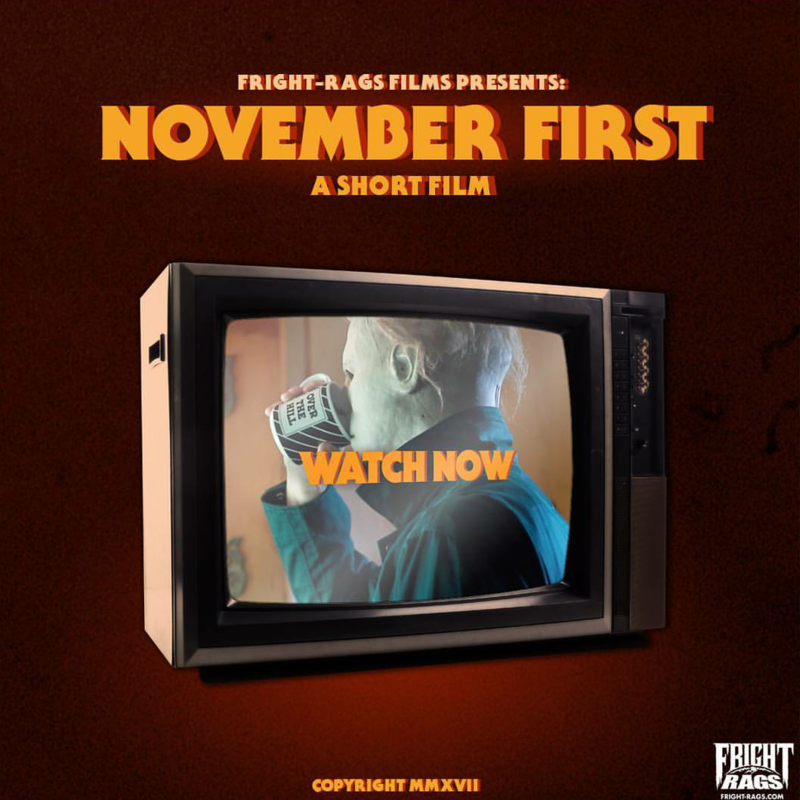 While we’re all coming down from the high of another Halloween, today is the perfect time to watch the new fan film from horror apparel makers Fright-Rags, which follows Michael Myers after the events of October 31st to find out how the Boogeyman copes with November 1st. The short film was created by Eric Maira, Chris Hogan-Roy, Benjamin Scrivens, and Chris Tanski to find out what a typical November 1st might look like for Haddonfield’s favorite slasher. Does he sleep in? Does he sit home and relax after a night of killing? Watch and find out. It even features a cameo appearance by original Halloween star P.J. Soles. Check out November 1st below, and then start getting ready because Halloween is only 364 days away! ‘Halloween’ 2018 Official Photos of Michael Myers and Laurie Strode Revealed!